We offer all type of computer repair services in Balham, SW12. Whether it is setting up a new network, removing viruses and pop-ups or even installing a new Operating System on your old computer, we do it all. You can come to our repair centre or our certified engineers can come to your doorstep in Balham to help you with your computer worries. Our charges are very reasonable and we offer NO FIX – NO CHARGE guarantee. Data recovery from dead laptops. Onsite and Home IT Support. Broadband & networking setup and troubleshooting. An elderly lady from Balham, SW12 brought her Windows-based laptop to our repair centre. She had dropped the laptop and it was not booting up into the operating system. Usually when you drop the laptop and it fails to boot after that, the chances are that your hard drive is gone. However, we took and laptop for a full diagnosis. This Balham lady was worried about her data as she did not have any backup. We assured her that we would do as much as we can to help her. Our engineer ran some checks on the hard drive. The damage done to the hard drive was irreparable. However, we put that drive on our data recovery machine to extract as much data as we could. We managed to extract most of her pictures and folders from the broken hard drive. We put a new hard drive in her laptop and installed Windows 7 on it. Then we transferred all the recovered data back to the folders as in her old set-up. This Balham lady got back the computer in 2 days and was extremely happy with our service. 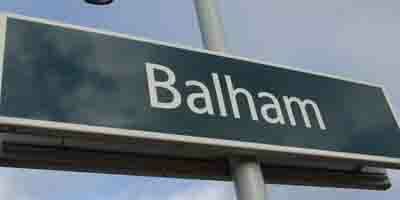 If you live in Balham and would like to use our services, please call us on 0207 6100 500.